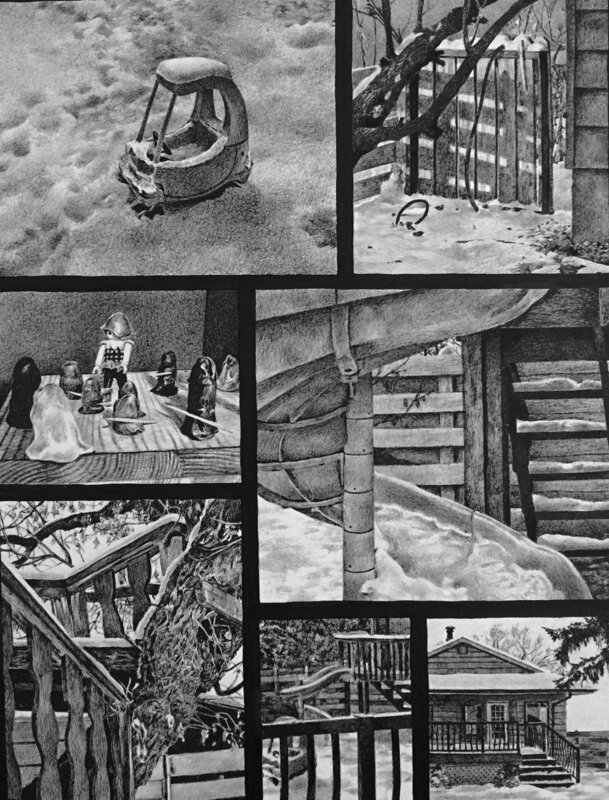 Flakes is a series of pen and ink drawings that is strongly influenced by the graphic novel form. 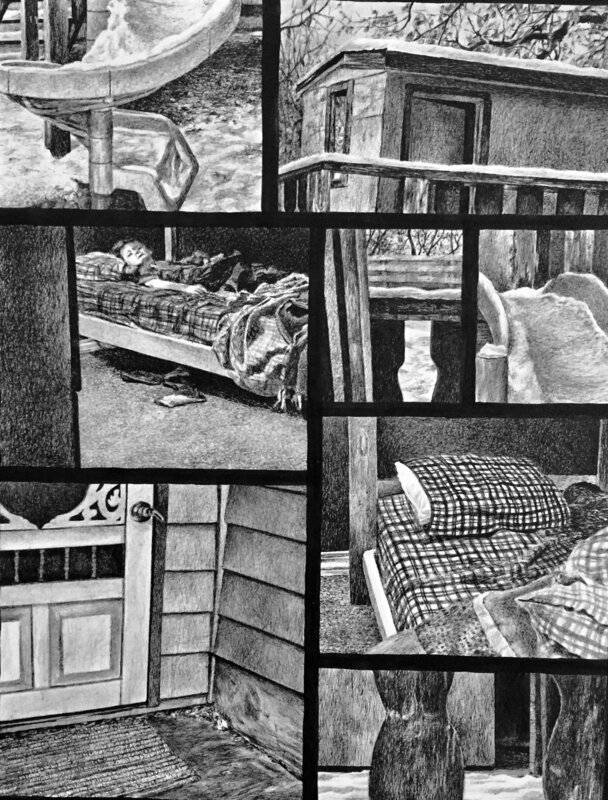 The pages are arranged in panels that depict repeated perspectives, angles, shapes, and textures. These visual elements act as signposts to suggest multiple paths through a story that explores the physical and emotional connections humans have with their environments. In the making of Flakes, I have been influenced by the woodcut novels of Frans Masereel and Lynd Ward, the paintings of Alex Coalville, the novels of Virginia Woolf, and the comics of Chris Ware, Al Columbia, and Lorenzo Mattotti.